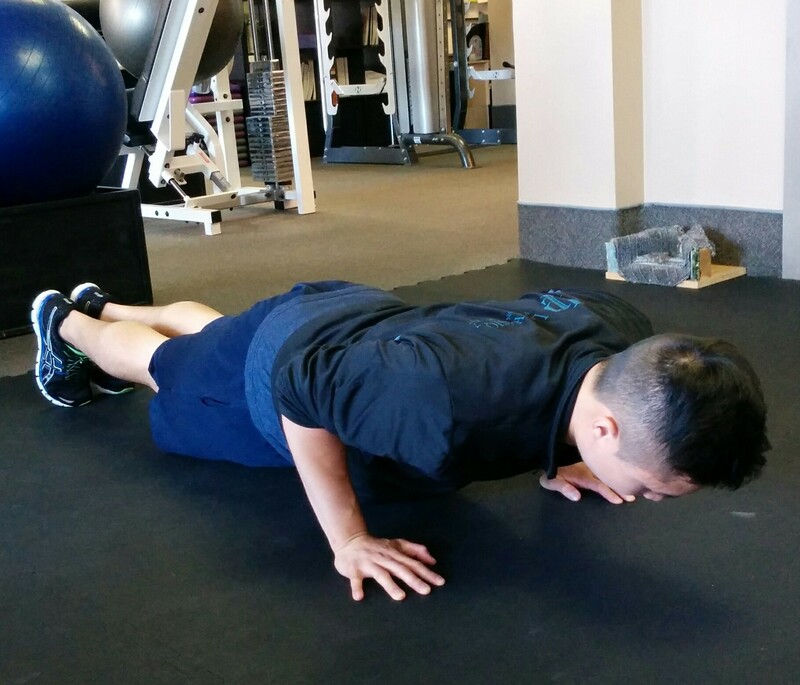 Pushups are a great body weight exercise that help strengthen the chest, shoulders, triceps and increase trunk stability. 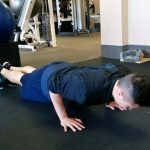 An essential and functional movement, understanding proper pushup technique and then incorporating them into your routine can have amazing effects on your overall performance, due to the complexity of the movement, use of the entire body and full body awareness it can create. 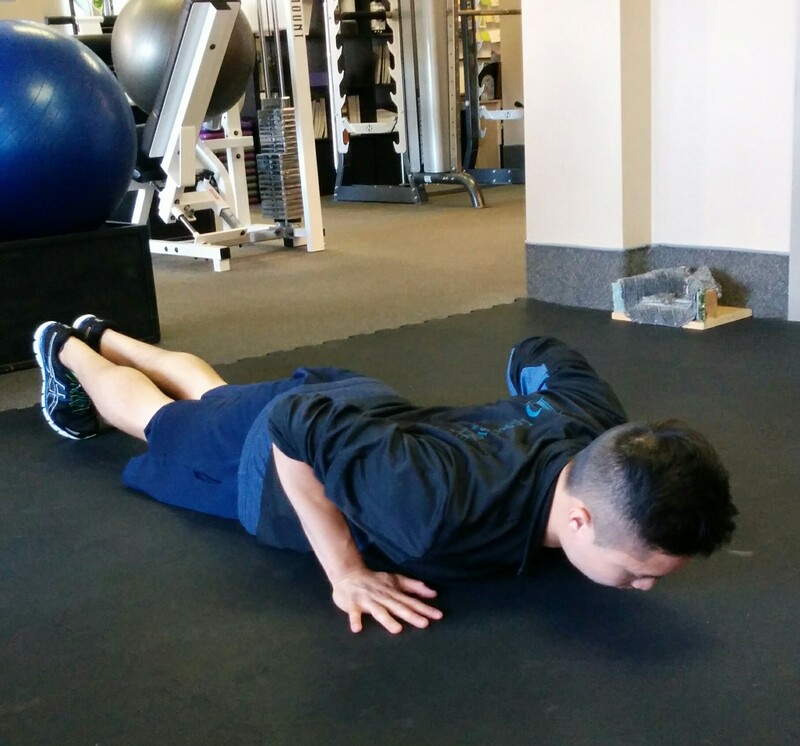 Great pushup technique is even helpful in sport and activities like yoga and pilates. For example, newbie surfers will appreciate the application in popping up (getting up off your surfboard into an upright position). Common mistake: hands are placed in front of the shoulders, so if you were to lay down with your hands in place, they would be at the level of your chin or ears, which is too far forward. 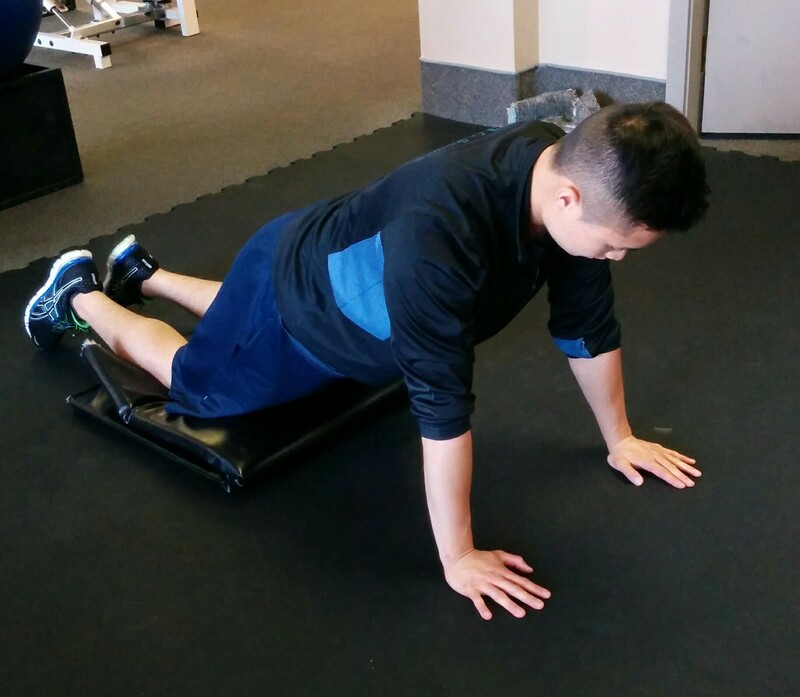 Too far forward positioning can increase the stress to your shoulder joints, as your elbows tend to wing outward and forward, causing internal rotation and possible impingement of structures supporting your shoulder. In other words, potential shoulder and neck pain. 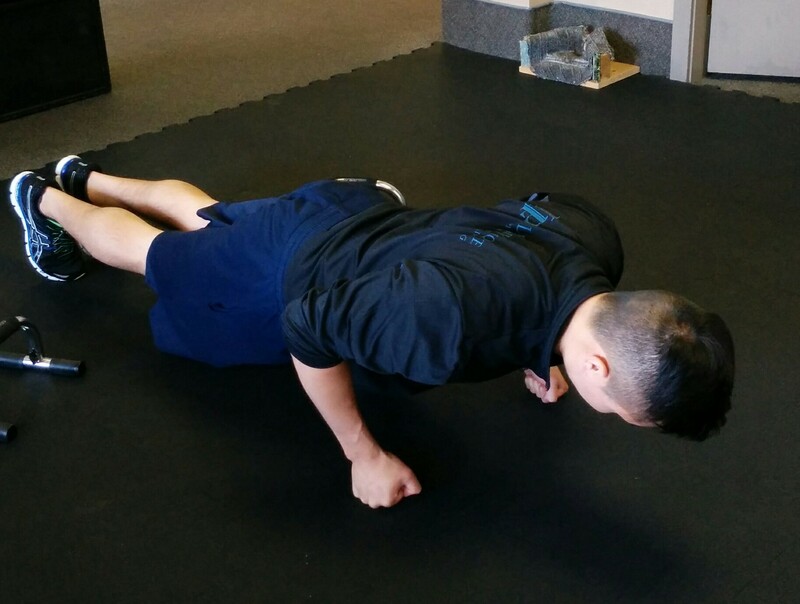 Common mistake: leading the movements with the head and shoulders on the pushup. 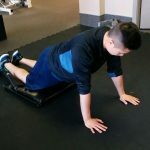 This significantly compromises the intensity of the exercise, along with any improvements in trunk stability that you would experience. 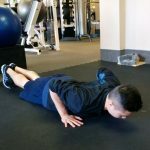 Common mistake: doing quarter range of motion pushups and always increasing the number of reps, versus increasing depth of movement to half, then full range of motion. 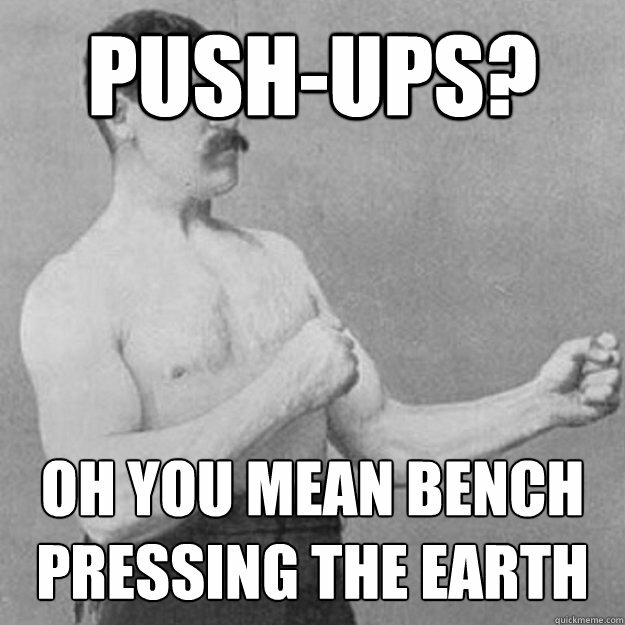 Common mistake: Headbanger pushups. 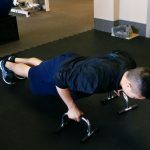 This is a combination of mistakes seen in tip 2a and 4a where you may notice someone doing many, many, many, pushups, but it really is a combination of many, many, many little elbow bends and head bobbing. This can lead to neck pain (you saw that coming, didn’t you?). 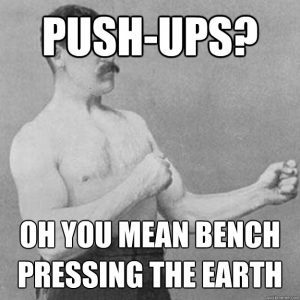 * Angle your elbows toward your feet, and imagine folding your arms in closer to your body, as though you are doing pushups in a skinny alleyway. 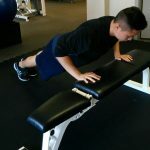 * Place your hands on a bench, table or stable surface like a fixed bar to reduce the angle, in order to decrease pressure in the shoulders, and focus on shoulder stabilization throughout the movement. 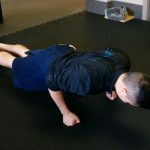 * In the top (plank) position, ensure your shoulder blades are in a neutral position before you begin the movement, and focus on keeping them there. Often people will shrug their shoulders up towards their ears during the movement potentially causing impingement. * Have someone check to see if you are stabilizing your head in the proper position: neutral cervical spine and chin gently tucked. * Forms fists to push off of. * Use the edge of an elevated, sturdy surface.